This article shows you how you can tether an iPhone to your PC via Bluetooth. 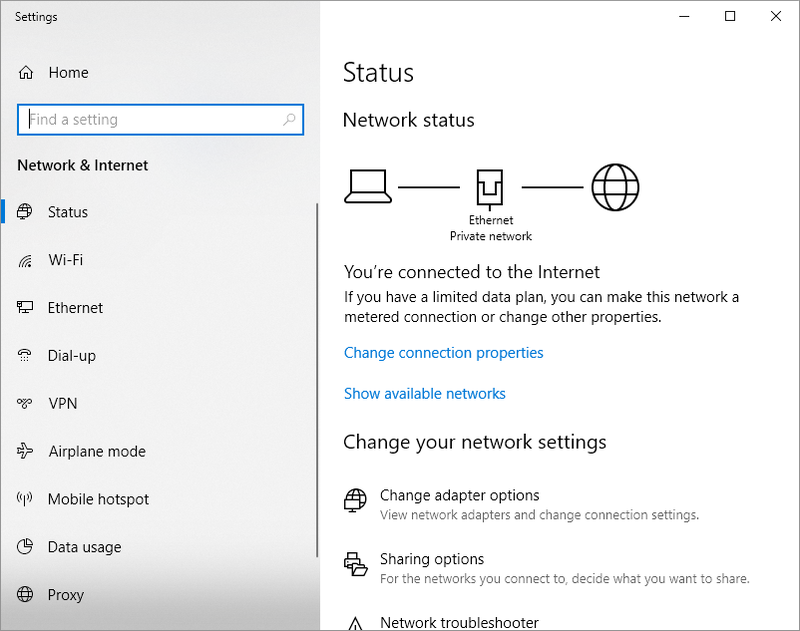 This is necessary if you wish to bond your iPhone's 4G / LTE or Wi-Fi connection to your PC's Wi-Fi or Ethernet connection. However, while Bluetooth is a convenient and wireless way to get Internet from your iPhone to your PC, it is limited to 1 Mbps (Bluetooth 4) or 2 Mbps (Bluetooth 5). If you have fast LTE speeds on your iPhone, you might get better results with USB or Wi-Fi tethering. 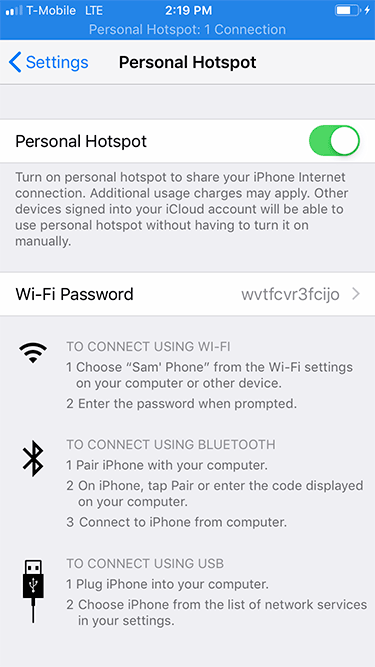 Step 1: Turn on the Personal Hotspot feature on your iPhone. To do this, tap Settings from your home screen and go to Personal Hotspot. Step 2: Connect (or “tether”) your iPhone to your PC using Bluetooth. 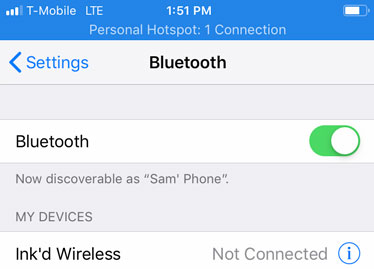 On your iPhone, make sure Bluetooth is enabled (Settings > Bluetooth). 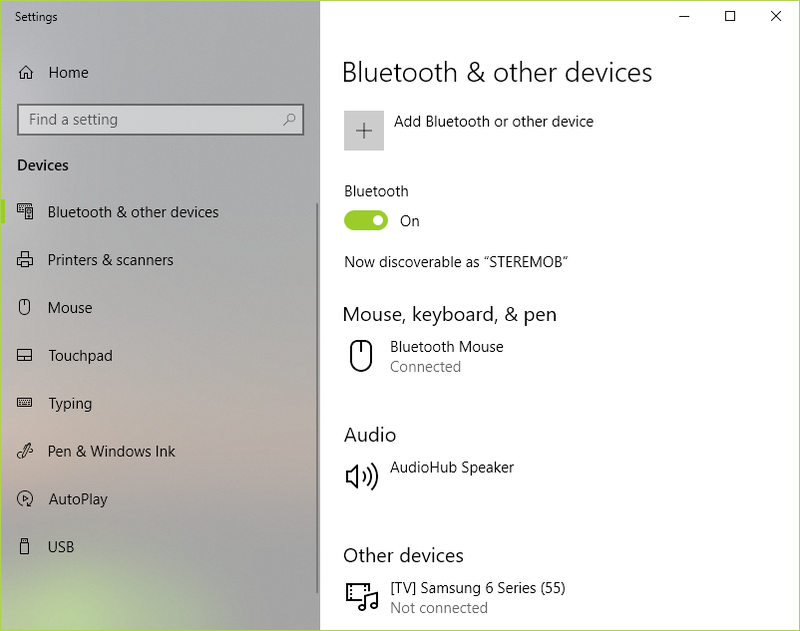 Click on the "Add Bluetooth of other device" and let your PC detect the iPhone. This may take a while, so give it a couple of minutes. Finish the pairing process following the instructions both on you PC and on your iPhone. Step 3: Connect your PC to the Internet using the Bluetooth tethered iPhone. If it’s connected - you’re good to go. If it’s not, double click to view Bluetooth devices. If your iPhone doesn’t automatically show up here, click on “Add a device” and add it.